Is it power? Is it control? Is it desirability? All-out plushness? Or just space? Is it a combination of all of those things? And if it is a combination, to what degree does cost and inclusions play a part in determining the luxuriousness of a car? That’s what this test aims to find out: we have five sedans here that have some or perhaps all of those aspects covered, though none of them are the usual suspects from Germany. They’re all large sedans that offer premium-ness in different ways and by different measures. And the fun bit is that the winner of this five-way shootout will take on the Germans in a follow-up test, coming soon. 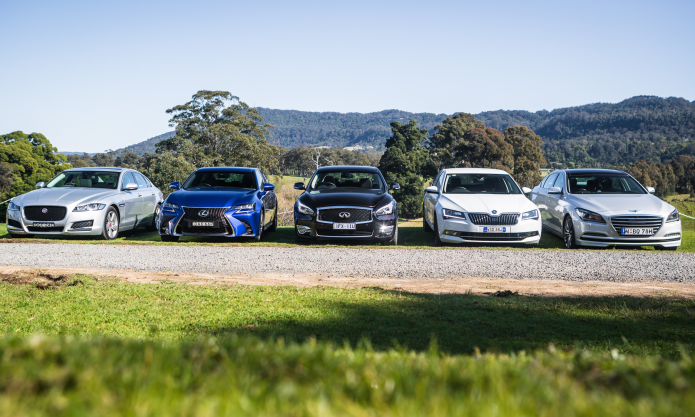 This, then, is a test to find out which of these five is the most convincing premium model, even if it may not have as premium a badge as an Audi, BMWor Mercedes-Benz.